Two Nuclear Leaks in the UNITED STATES. One is Likely Worse Than Fukushima. Home » other » Two Nuclear Leaks in the UNITED STATES. One is Likely Worse Than Fukushima. 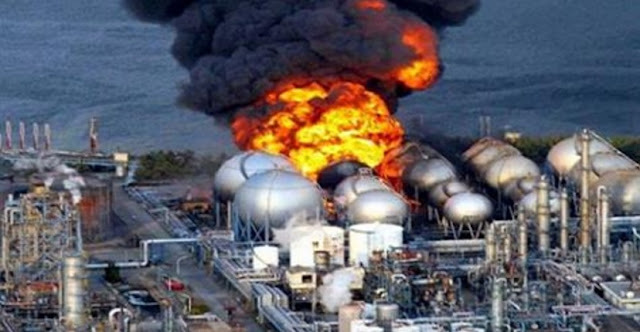 We've all heard about the leak at Fukushima, but have you heard about the two nuclear leaks in the United States? As the two videos below note, there are currently leaks at Indian Point (upriver from New York City) and Turkey Point (near Biscayne National Park, in Florida). Two other sites to keep an eye on? Vermont Yankee has been investigated intermittently by the Vermont Department of Health since 2010, and as Gizmodo notes, New York's Fitzpatrick Plant has been "plagued by water leaks." As always, be diligent in your fact-checking, and be aware that not all news is reported equally.